. : MOTION SPECIALTIES GRAND OPENING :. 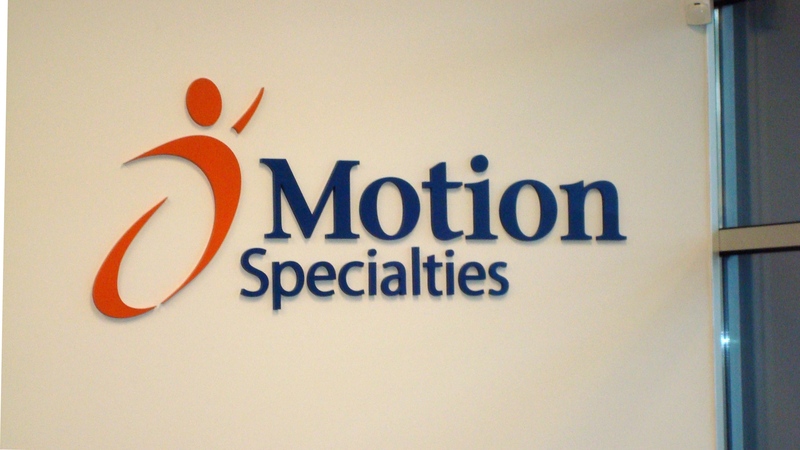 Motion Specialties had their grand opening at their new location on North Fraser Way in Burnaby. It was a fun event with equipment demo sales, a power wheelchair obstacle course, contests and prizes and some great manufacturer exhibit booths. FYI, they will be honoring their special demo prices for the next couple weeks. So, if you have a client with limited funding, contact Motion ASAP to see if they have anything available that might work for a client of yours! I love looking at demo equipment as I often have clients who need equipment that may not be eligible for funding. At a discounted rate, however, some funders may be willing to provide funds if the needs are there. On another note, here are a few seating related highlights from the event!
. : SEATING AND POSITIONING WORKSHOP :. Access Community Therapists held the “Seating and Positioning in the Community: Practical Applications” workshop at Motion Specialties in Burnaby on September 27th and 28th. Despite the torrential rains on Friday and Saturday, it was a great turn out and we had a lot of fun practicing landmarking, mat and sitting assessments and even got to work with some volunteer clients. Here are some photos from the day. FYI, we are hosting the course again on November 29th and 30th. If you would like to register for the course, check out the Access website. Hello Everyone! Welcome to my very first post! The Rehab Equipment Expo at the Richmond Olympic Oval (REE at the ROO) was held on Monday, September 9th, 2013. The entrance fee was only $2, which was waved if you arrived by transit, shuttle, biked or carpooled, so, definitely worth a visit! The venue was great and the exhibit booths were informative with lots of equipment to see and demo. I always enjoy browsing the equipment and trying things out. Advanced Mobility was debuting their JACO by Kinova, a joystick controlled robotic arm. Kinova was founded in 2006 and is a Canadian based company. This robotic arm consists of six axes of movement and even has a 3-fingered hand. The product was inspired by the creator’s family members who had Muscular Dystrophy. This isn’t by any means a cheap product, but the functional benefits for a client would be unparalleled. With the right funding, this product would make a huge difference in someone’s life. I will definitely be keeping this one in mind! Active Controls Rehab Solutions had an exhibit booth and were showing off their new Center Drive System. This product definitely caught my eye at the Expo this year. This product can work with most power wheelchair bases (except for Invacare bases) and is essentially a joystick that can be removed and plugged back into place quickly and easily. The mount for the Center Drive System can be set up in various positions however, at the expo, the system was set up at the center of the seat and behind the backrest as an attendant control. The tiller style joystick (or “JoyBar”) was a creative design that would definitely be appealing to clients who like the scooter style drive, but require more supportive seating from a power wheelchair base. The Center Drive System can be even be paired with a variety of different joystick options including the Switch-It drive controls, which have a variety of great products including the Touch Drive 2, the Micropilot miniature joystick and integrated tray and switch drive controls. The pads/hand supports on both sides of the joystick are quite nice as well. Very soft and comfortable. I am definitely looking forward to trying these products out with a client! Body Point also had a few new items. On their chest harness they have designed a clip at the front of the chest harness that can swivel while its secured. This is a nice design as it will help to keep the harness in place over the chest and shoulders. At their booth, they were also showing off their new commode/shower chest straps. The material of these chest straps were antimicrobial and were also perforated for quick drying. The material was soft to touch. I will definitely be trying these out soon. The ROHO group has a new backrest called the Agility back system. This is a nice design with Roho air cells down the center of the back and along the laterals. Great for pressure relief along the spinous processes and along the ribs on the laterals. The backrest has some mild midline guidance and would likely benefit a client needing lower lateral contact. There is also a milder contoured backrest with air cells only along the back. Although this back is quite simple, extra foam can likely be added for better contouring, support and control. The back of the backrest can also be customized with colour panels, which is a nice option for the user. Vicair has also come out with a backrest. The NXT VC backrest is a moderately contoured backrest with Vicair air cells that can be moved around to different sections in the backrest (similar to their cushions). Moving the air cells around will allow for accommodation as well as increased contact and support at different parts of the trunk/spine while still providing pressure relief. Definitely a different and interesting concept for a backrest that could definitely work with some clients. Like the cushions, for clients who have sensation, this product will likely work best if they prefer the feel of the Vicair cells. I’ve been finding that some clients love the feel of the air pockets while others don’t prefer them. Ride Designs has created new mounting hardware for their backrest. This is a nice design that allows for more flexibility with regards to positioning. What’s particularly unique about this hardware is that it allows the backrest to be mounted forward from the canes. Standard mounting hardware does not usually allow for this. Overall, this hardware is streamlined and has a nice clean aesthetic. Ability Health Care has been making custom fabricated ABS backrests. These backrest have worked well for many clients with severe spinal curvatures that are difficult to control and support with a commercial backrest. These backrest are light weight and ideal for manual wheelchair users who don’t want to add a lot of weight to their system but require the support and control to function and manually self-propel. These backrests are made by taking a cast of the client’s back. Once the cast is set, the ABS is heated and molded to the cast shape. What makes these backrest special are that they can be mounted at any height, position or orientation. If funds are available, these backrests are a great option. Quantum Rehab has launched a new Tru Balance 3 Rehab seat. This seat is priced on the higher end but offers power tilt, recline, seat elevation, and articulating footrests. The sides of the seat and armrests are designed to allow various mounting options for seating components and assistive technology. The FreeWheel is a removeable wheel that can be secured to a manual wheelchair with a rigid footrest. It is designed to manage rough or uneven terrain. Clients that have this product often take this when traveling as it enables them to manage terrain like cobblestone sidewalks or even sand (apparently)! It is quick to put on and take off, which makes this product incredibly versatile. The Smart Drive is a product by Max Mobility. It’s a new power assist device that mounts to the back of a manual wheelchair and can be removed when it isn’t needed. Other power assist systems are set-up through the wheels. If a client wanted to remove these, they would need to bring another set of standard wheels with them, which isn’t practical. Clients with products like the Magic Wheels (power assist wheels) will often leave them on at all times. What’s nice about the Smart Drive, is the ability for the client to set-up and remove the system as needed. The TiLite AERO T is a light weight aluminum rigid frame manual wheelchair. The dual tube style has been used here to achieve a lighter weight without sacrificing strength and durability. I was asked to feel the weight of 3 different sized tubes and it was clear that the narrowest tube was far lighter than the other wider tubes. The total weight of this base is 12 lbs. This new wheelchair is called “Elevation” and has been designed by Instinct Mobility. PDG is now distributing this product, which is quite exciting. This is an incredibly unique manual wheelchair that has 10 inches of dynamic seat dump and elevation and 30 degrees adjustment to the back angle. Essentially, this wheelchair allows a client to move from sitting to standing by simply engaging a lever located on the seat rails of the chair. (Note: There is a video of this on the Instinct Mobility website). This wheelchair has been designed primarily for clients with paraplegia but modifications can be made to the placement of the levers to make it possible for clients with other functional abilities to use it. Although this manual rigid wheelchair is heavier than others on the market, the functional and medical benefits of this system are significant. Definitely worth a trial with the right client. Priority Posture Systems Ltd. are now fabricating alternate positioning devices or “comfy chairs”. The foam in these comfy chairs are custom carved to meet a client’s unique or complex postural needs. These systems can also include a dynamic tilt option and elevating legrests that are operated by hand levers (similar to manual wheelchair tilt systems). These systems are quite aesthetically pleasing and are upholstered in the fabric of the client’s choosing. The i2i is a Stealth Products head and neck positioning system. I have used this product a couple of times and it has worked very well for clients with head and neck flexion, extension, side flexion or rotation deformities. This product is great but must be trialed to determine whether a client can tolerate such rigid control. There were so many great new products at the REE this year. One product that I missed, but heard about afterwards was the Blake Medical Geo-Matrix Silverback Backrest. This backrest apparently integrates the blake gel for added pressure relief and comfort. Definitely a product I wish I didn’t miss. I will have to get a picture of this one soon to show all of you!